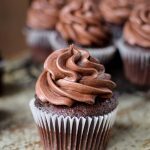 I was glancing at my blog archives the other day and I realised, I’ve never shared a recipe for a basic chocolate cupcakes, or even a vanilla one for that matter. Basic recipes are the building blocks of baking, once you’ve mastered a simple chocolate cupcake, you can customise it to your hearts content. 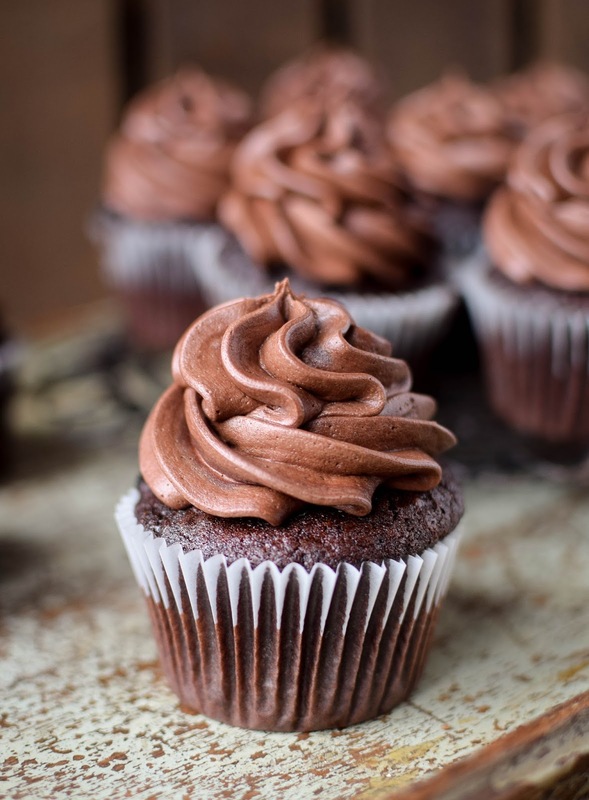 Here I’m sharing the recipe for my favourite, super moist and delicious, chocolate cupcake. These babies are people pleasers. Chocolate cake can often be dry and a bit uninspired, but this one is so light and moist you’ll be going back for seconds, even thirds. Once you’ve got this one down. you can add in a little peppermint extract for a chocolate mint cake or maybe grated orange zest for a nice chocolate orange zing. The world is your oyster. So guys and girls, are there any more basic recipes you’d like to see here? I’d love to whip up some more simple bakes. *I wholeheartedly apologise for using the word moist, I know I know. I hate it too. Chocolate cake can often be dry and a bit uninspired, but this one is so light and moist you’ll be going back for seconds, even thirds. Preheat oven to 175°C and line a 12 hole cupcake tray with liners. Sift all of the dry ingredients into a large bowl and set aside. In the bowl of an electric mixer add the egg, buttermilk, sunflower oil and vanilla and mix together. Slowly add the dry ingredients to the wet, mixing all the time. Add the water and mix to a thin batter. 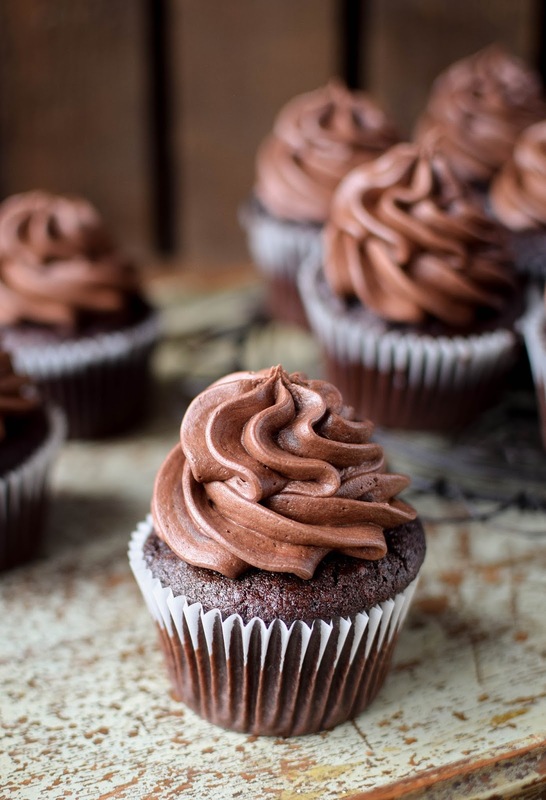 Fill each cupcake liner 1/2 way with the chocolate batter and bake in the preheated oven for 20 minutes. Allow cupcakes to cool in the tray for 5 minutes before removing to a wire rack. Make your frosting while the cakes are cooling. Beat the softened butter in your electric mixer until smooth, pour in the melted chocolate and beat to combine. Add in the cocoa and icing sugar and mix, slowly add the milk until you reach a good piping consistency. (Not too stiff, not too soft). You may not need all of the milk. Using a large closed star nozzle pipe a swirl of buttercream onto each cooled cupcake. Cakes can be kept in an airtight tin for up to 3 days. These cupcakes are easily adapted. Use them as a base for any chocolate cupcake. Holy crap I’m going to save this one for later try! I’ve perfected my own cupcake recipe but can’t wait to try out these. They sound amazing? These look amazing! I make GF choc cupcakes, but I usually do them with peanut butter frosting. I'll try your choc frosting next time! What yummy looking cakes. Am so hungry just looking at them. 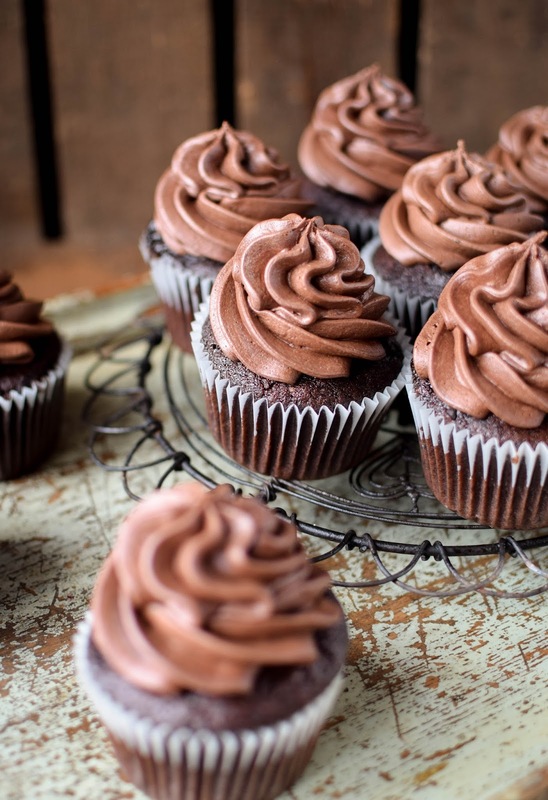 I have been checking recipes for cupcakes and this is really perfect. I will try and hopefully make it just like yours. Drooling over the picture and wishing I can also have the same output when I bake.